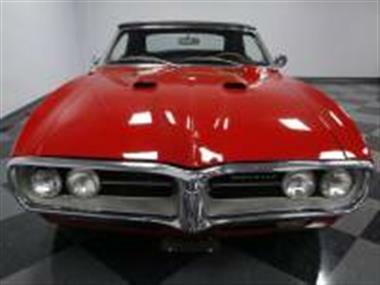 1967 Pontiac Firebird in Concord, NC for sale. 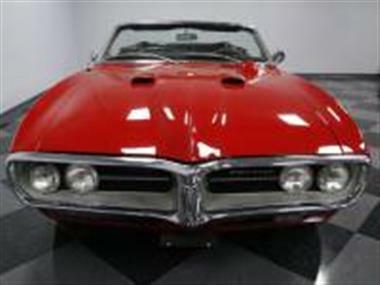 Its hard not to get excited about a 1967 Pontiac Firebird 400 convertible. 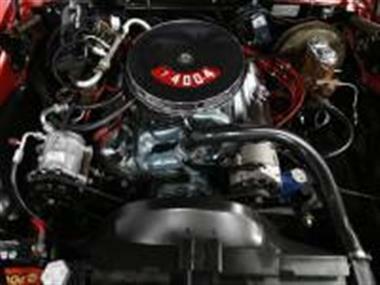 Especially since Pontiac only built 7and#44;526 droptops with the 400ci V8 and a four-speed. So nearly a half-century laterand#44; its getting harder and harder to find examples that have been painstakingly restored to look this original. 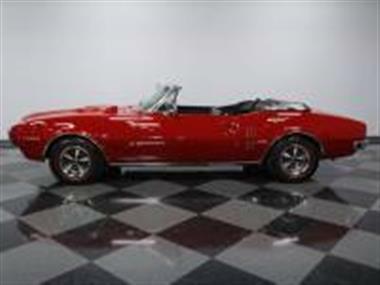 <br /> <br><br> Theres no sneaking around in a Firebird convertible painted Regimental Red. Its a bold packageand#44; which is what you want on a standout droptop like this. It has a nice shine that complements the first-gen Firebirds beak-like chrome nose and slotted trim that looks like a bird in flight. Good bodywork underneath helps to impressand#44; tooand#44; including the crease that runs from nose to tail thats crisply defined. Youll see in the restoration photobook that a lot of care and investment has gone into keeping this convertible looking its muscle car best. And thats what owing a first year Firebird 400 is all about. It gets the period-correct aggression with the ram air hoodand#44; GTO-inspired taillightsand#44; Rallye II wheels w/correct PMD center capsand#44; and even redline tires.<br /> <br><br> You paid a little bit more for a Pontiac back in the dayand#44; and the difference can be seen inside where theres a delightfully upscale black interior. It has a great texture on the vinyl bucket seats that remains complete and fantastic today. 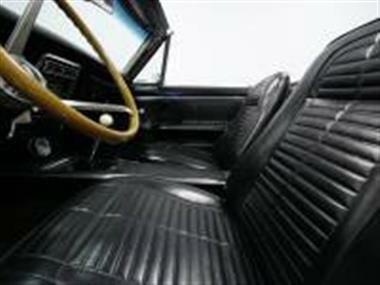 This is a comfortable center console car that is topped off with a Hurst shifter. Like a good sports carand#44; the drivers focus is on the deep dual-pod gauges viewed through the original-style three-spoke steering wheel. Looking for a tach? This has one of Pontiacs ultra cool hood-mounted units. While the convertible keeps an authentic attitudeand#44; youre going to find some very nice upgradesand#44; too. For exampleand#44; the original AM radio is still in the center stackand#44; but theres a more modern AM/FM/CD stereo hidden in the glovebox. Plusand#44; the original vent controls are in placeand#44; but now modern R134a air conditioning is pumping into the car. This is particularly importantand#44; because youre going to love opening up to the world on a whim with the power folding roofand#44; and now with the A/Cand#44; you can stay cool while looking cool.<br /> <br><br> The top motor for the first-year Firebird was the 400 cubic-inch V8 borrowed from the GTO. You can tell money was spent here in the restorationand#44; too. Thats also why the motor fires up with easeand#44; and the dual exhaust has the unmistakable rumble of a big displacement Pontiac. The engine bay looks immaculate and correctand#44; which probably starts your mind racing about the kind of awards you can win just for this. But more than just looking greatand#44; this high-performance F-bird was made to drive. Thats why you have the great control of a Muncie four-speed manual transmissionand#44; and that sends power to the stout 10-bolt rear end. 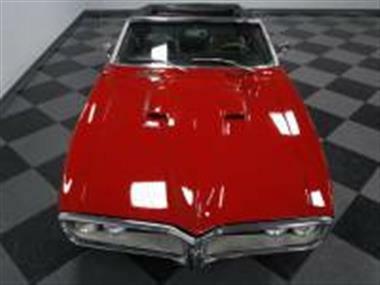 This one also has power steering and power front disc brakes to keep a surefooted feeling on the road.<br /> <br><br> This convertible comes with a huge file that includes Pontiac Historic Services (PHS) documentationand#44; a restoration photo bookand#44; a ton of build/maintenance receiptsand#44; and plenty of promotional materials. 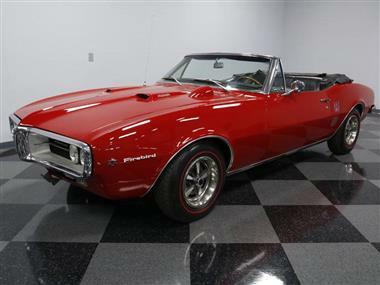 Its a rareand#44; and quality Firebird thats turnkey ready and nicely presentedand#44; which makes it a very hot commodity. Call today!! 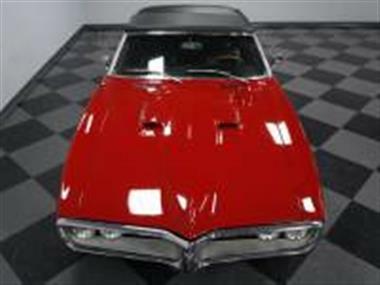 This vehicle is priced $10,807 more than the Average Market Price of $33,188 for a 1967 Pontiac Firebird. This is a Poor Deal as it's priced 25.0 % above market avg. The Pie chart below shows the number of ads within different price ranges.